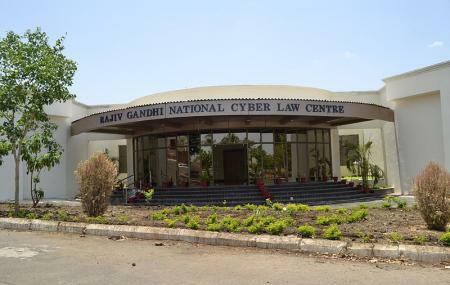 Find hotel near Rajiv Gandhi National Cyb ..
Rajiv Gandhi National Cyber Law Centre is one of the most reputed institute of cyber law in the country. Reputed to be a centre of excellence, the institute has churned out the most brilliant minds in this field. Aiming to make professionals experts and skilled enough to take the upcoming challenges of cyber space and cyber security, the institute offers all the facilities conducive to the growth of the students. It was founded in the year 2009, at a time when the subject was gaining importance rapidly. This helped in the center’s progress. The campus lies quite away from the noise of the busy city. Surrounded by lush fields, the institute enjoys the cool breeze of the Kerwa lake. If you are one with interest in this field, this institute is very interesting. Parts of the institute may not be open to public, refer to official website for details. How popular is Rajiv Gandhi National Cyber Law Centre? People normally club together Madhya Pradesh Bhoj (open) University and Bhadbhada Dam while planning their visit to Rajiv Gandhi National Cyber Law Centre. As the name denotes, this cell is dedicated to control the cyber related issues in state.